Four years ago when my son was a baby, I started a TrAdItIoN that families around the world have been doing for ages. 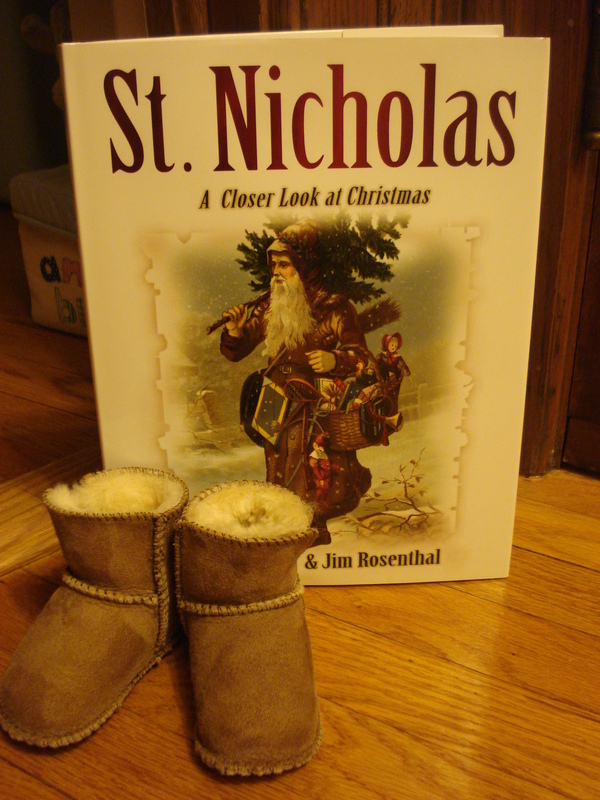 December 6th is the celebration of St. Nicholas Day. 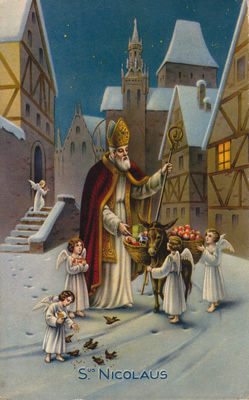 St. Nicholas was known for his GeNeRoSiTy to those in need and his love for children. 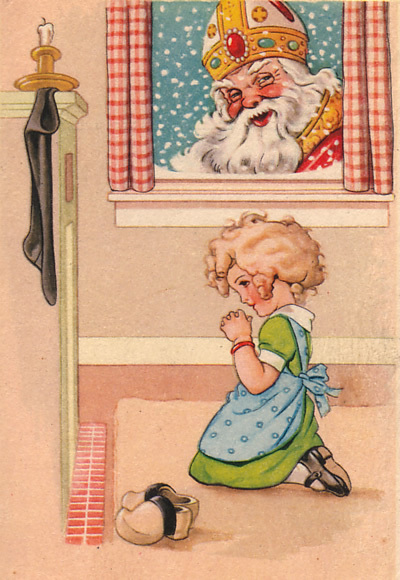 In many European countries, on December 5th, the eve of St. Nicholas Day children leave their ShOeS outside of the bedroom doors and wait for St. Nicholas to leave them a surprise. I have my children do the same thing with their favorite shoes and I love to see their excitement when they wake up in the morning to find that St. Nicholas has visited our home. I feel this is a great way to “KiCk OfF” the holiday season and teach my children about a Saint who was so giving to little ones like themselves. You can read more about St. Nicholas at www.stnicholascenter.org. What family traditions do YoU do to start the holiday season? 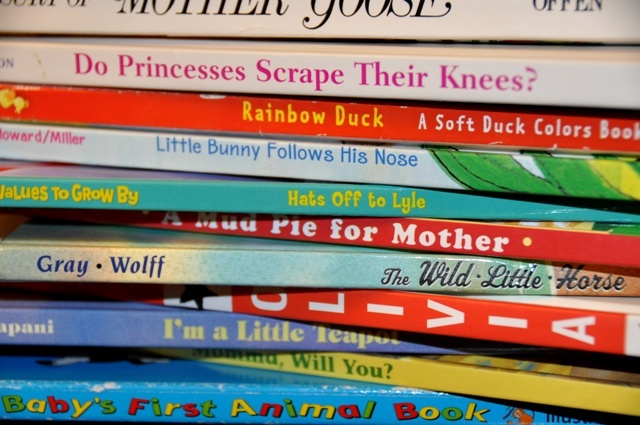 We LoVe to hear from our readers so please share your stories! 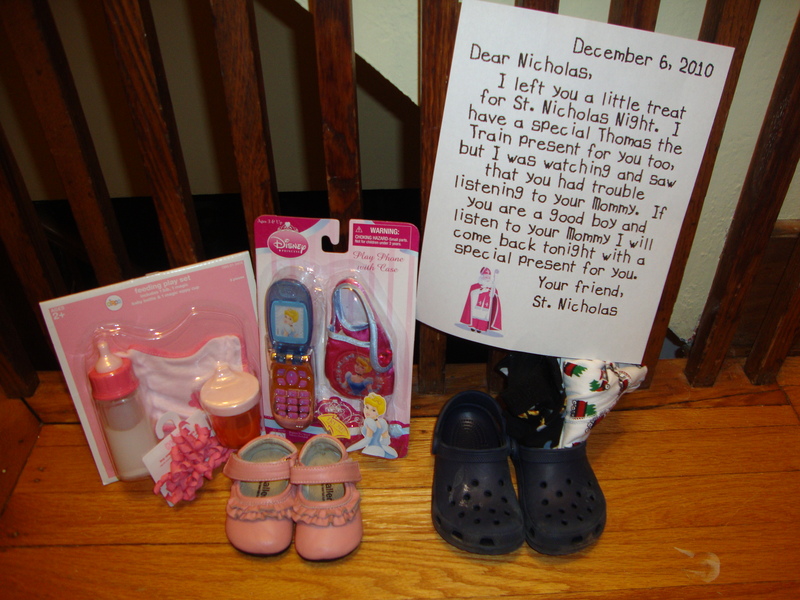 St. Nicholas Night 2010 – Let’s hope my son Nicholas has a better day this December 5th so he doesn’t have to get another letter and underwear in his shoes!